We in the Midwest are the envy of the nation this week. We’ve had zero tsunami warnings and zero hurricanes here in the middle. If, however, you’re living in one of the less fortunate, more ‘exciting’ parts of the nation, here are a couple links to entertain you during your hours of indoor fun. The Metropolitan Museum of Art posted the full text of 298 of its publications, including images. Take a leisurely stroll around The Great Wave: The Influence of Japanese Woodcuts on French Prints. 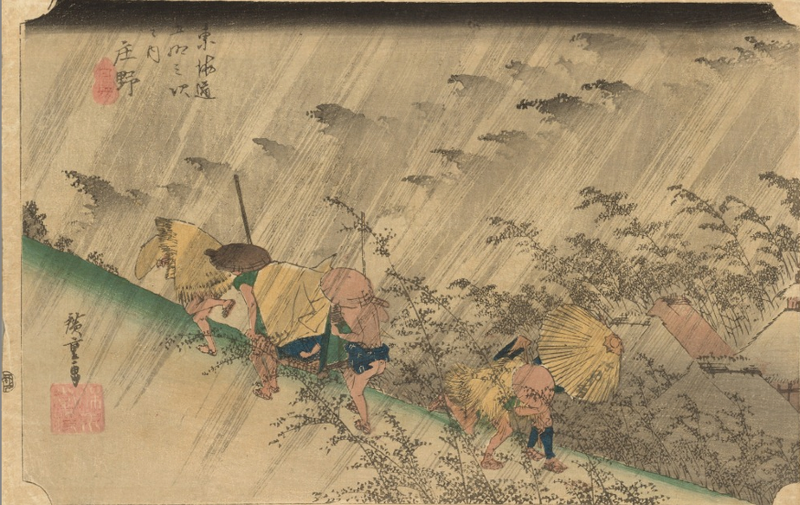 Then if you’d like to see more Japanese prints, or just more waves that aren’t lapping at your door, check out The Pushkin State Museum’s online collection of Japanese Prints. Stay safe East Coast friends!